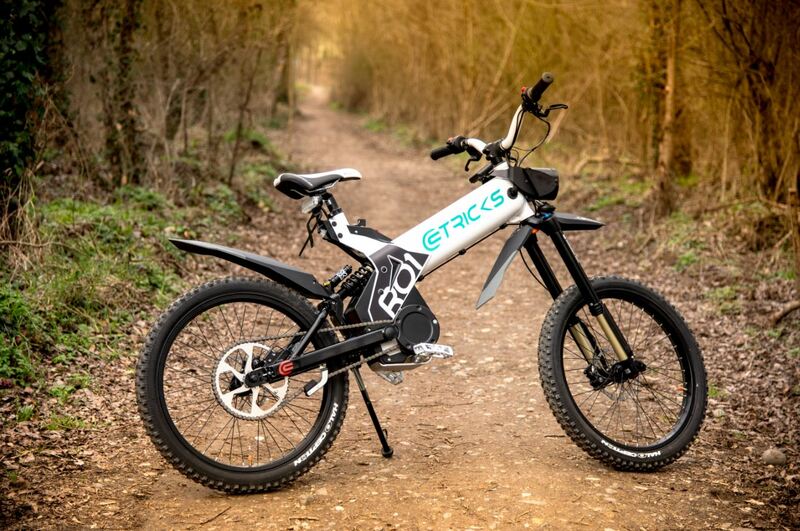 The off road model of the eTricks brand, the R01 is the perfect ally for off road excursions. It’s top speed and engine torque permit a sporting and ecological ride. With 160 mm of hydraulic suspension travel, chain drive and 24’’ agressive tyres, the R01 has efficient equipment which makes the crossing of steep rocky paths a breeze. It’s weight of only 37 kg ensures a light, noiseless ride. The R01 will evoke the same feeling as a motorcycle, a first on the market for electric two-wheeled vehicles. The R01 has won the confidence of motorsport teams as in the case of our partner TM Racing who choose eTricks to realize their paddock transport. DASHBOARD Current speed, average speed, max speed, timer, mileage, daily, total, power and assistance mode, battery gauge. PRICE €4165 *All prices are in Euros and excluding VAT, delivery charges and optional accessories. Photo non contractual.